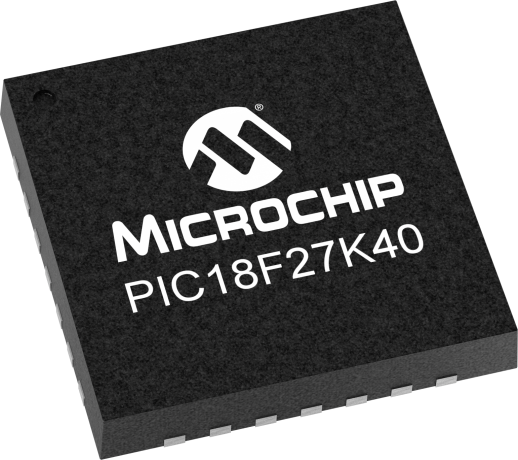 PIC18(L)F27K40 microcontrollers combine large Flash/EE/RAM memory, rich peripheral integration, XLP and 5V support to suit a variety of general purpose applications. These 28-pin devices deliver Core Independent Peripherals such as CWG, WWDT, CRC/Memory Scan, Hardware CVD, Zero-Cross Detect and Peripheral Pin Select, providing for increased design flexibility and lower system cost. The PIC18F67K40 Plug-in Module is an accessory to the Explorer 8 Development Kit to be used for prototyping, demonstration or development --quickly and easily. Click here for MPLAB Xpress example code.